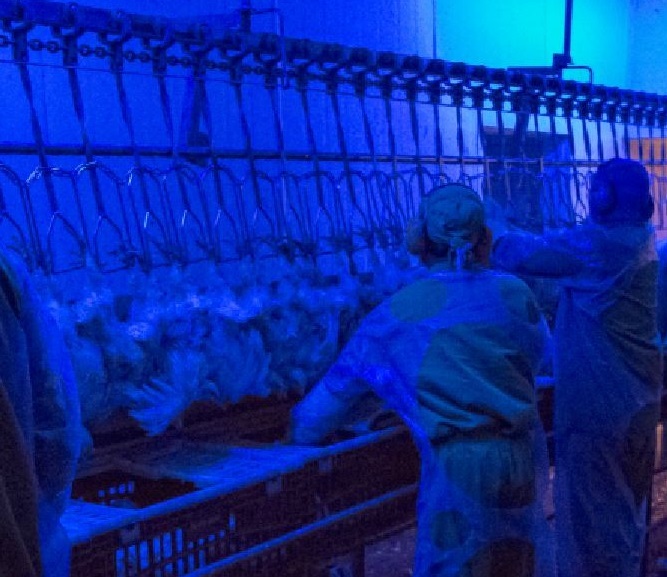 Poultry and humans have different sensitivites to visible light. For example, poultry have a similar green sensitivity to humans, but blue and red are perceived differently by poultry. With this understanding, EncapSulite developed the PoultryLite for chicken processing. The PoultryLite-Red produces a long wavelength reducing aggression, feather-picking and cannabalism in poultry. The PoultryLite-Blue produces a short wavelength creating a calming effect, reducing poultry activity. The PoultryLite is equipped with long-life 50,000 hour Sylvanias LEDs and rated for 1200PSI high pressure wash-down.